When Christian Palmaz, president of Palmaz Vineyards, wants to know the temperature in one of his 24 fermentation tanks all he has to do is look up. 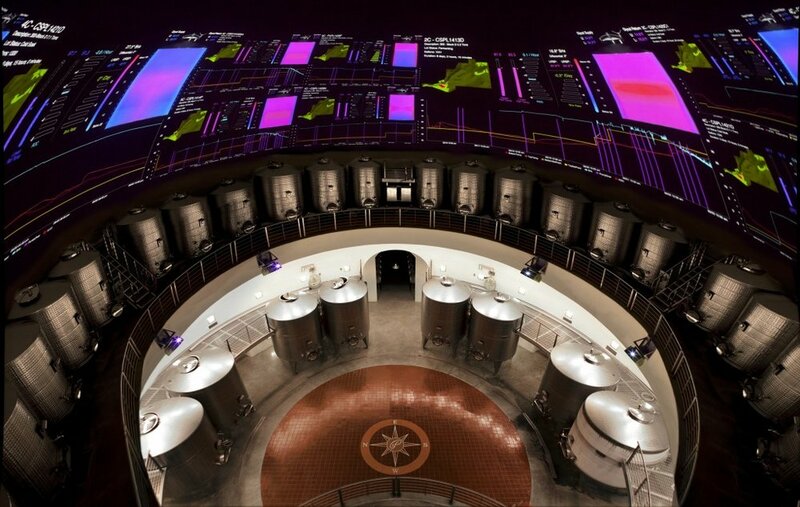 Projected across the domed ceiling of his family's 18-story high winery is a graph for each tank showing metrics such as temperature and brix (sugar level). It's like something NASA might have designed, yet it's just one of many technological innovations developed by the Palmaz family at their state-of-the art, 110,000 square foot winery, the largest in Napa Valley. "No one else has anything like this," Florencia Palmaz, director of marketing, told me on a recent visit to New York. The vision came from vineyard founder Dr. Julio Palmaz (Christian and Florencia's father), a native of Argentina who spent most of his career in medicine as an interventional radiologist. He is famous for developing the balloon-expandable coronary stent, which earned him a place in the National Inventor's Hall of Fame. His love of wine came during his residency at the University of California at Davis in the late 1970s, when he and his wife, Amalia, spent their weekends tasting wine in Napa. Although his work took the family to San Antonio, Texas, they dreamed of one day returning to start a winery of their own. Their chance finally came in 1997 after Dr. Palmaz sold the stent to Johnson & Johnson. By then, with two grown children, the endeavor became a family affair. After an extensive search throughout Napa Valley they chanced upon a 610-acre property with a unique historical pedigree. Founded in 1881 by Henry Hagen, Cedar Knoll, as it was known then, had been one of Napa's premier vineyards, winning a silver medal at a Paris tasting competition in 1889. Although the vineyard escaped a phylloxera epidemic in the late 1800s, it was not immune to the laws of Prohibition. The subsequent owner let the property go wild, and by the time the Palmaz family bought it, most of the land was covered in trees. Starting from scratch, however, allowed them to completely redesign the vineyards. Mount George is the property's defining feature and rises to 1400 feet. They took thousands of soil samples and discovered 24 different terroirs across three main elevations and planted according to the subsoil. Each parcel has its own protocol, overseen by a team of 12 year-round workers. Although the vineyard is not certified as organic or biodynamic they use cover crops and biodynamic treatments. "Our family lives here so we want our land to be sustainable. We want the next ten generations to be able to live on this property." Maintaining the character of the 24 terroirs became the inspiration for the winery's design, and hence the 24 fermentation tanks. "We were propelled to go down this route because of the diversity of our vineyard," Florencia said. Built into the side of Mount George, their winemaking facility took seven years to build and contains four levels and a series of tunnels designed to let gravity to most of the work. "My father is an academic who loves concepts," Florencia explained. "He brought in an engineer and the winemaker and designed it to accommodate the workflow." Grapes are brought in at the top. After sorting and destemming they are then deposited into one of the fermentation tanks that rotate around on a custom-made carousel. "Most people bring the grapes to the tank, we bring the tank to the grapes." The gentle handing minimizes oxidation and spoilage. Fermentation can last up to 28 days before the must is pressed and gently racked into French oak barrels (they use five different types) where it will stay for the next 18 months. All of their operations rely on gravity; at no point are pumps used. "We're not a manufacturing plant," Florencia said. "We're still artisans." And all that advanced technology? 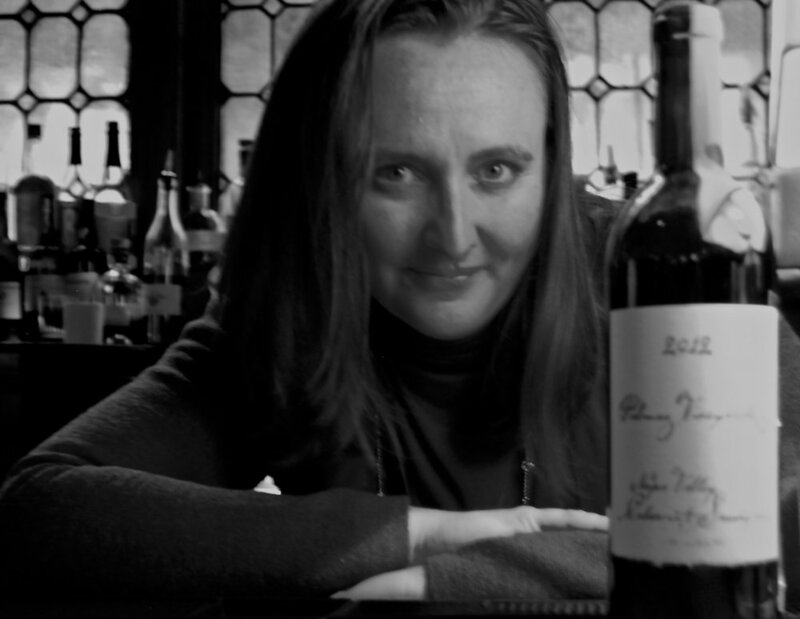 "Our mission statement is love the land, know the grapes and make a wine that honors both. That's what all that data is supposed to be about, providing information and insight." The goal of course is to make good wine. Cabernet sauvignon is their star variety and accounts for the majority of their plantings. It is usually blended with a small percentage of petit verdot, malbec, merlot, or cabernet franc depending on what qualities the final blend needs. 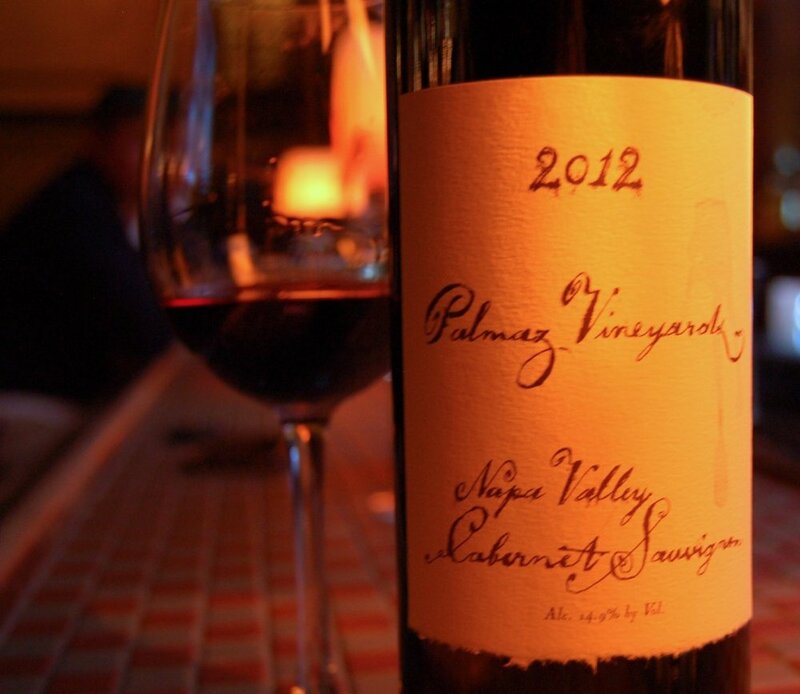 The 2012 is a blend of 96% cabernet sauvignon, 3% petit verdot, 1% cabernet franc. It was a warm season and produced a deeply concentrated wine, full of black berries, dark cherries and cedar. Although it's still in its youth all that gentle handling translates to soft, smooth tannins. It's a beautiful wine, plush and yet finely tuned. Two other reds include Gaston, Christian's middle name, which is made only in the very best years with their very best cabernet sauvignon, and Brasas, a blend of cabernet sauvignon and malbec in honor of the Argentine gauchos. Whites include a chardonnay, named after Julio's wife, Amalia, and made in the Burgundian style. It a lean wine with bright acidity and notes of lemon, pear and just a hint of oak. They also make a dry riesling named after Christian's wife, Louise, and a delicately sweet muscat named for Florencia. Looking forward to more from them for years to come!